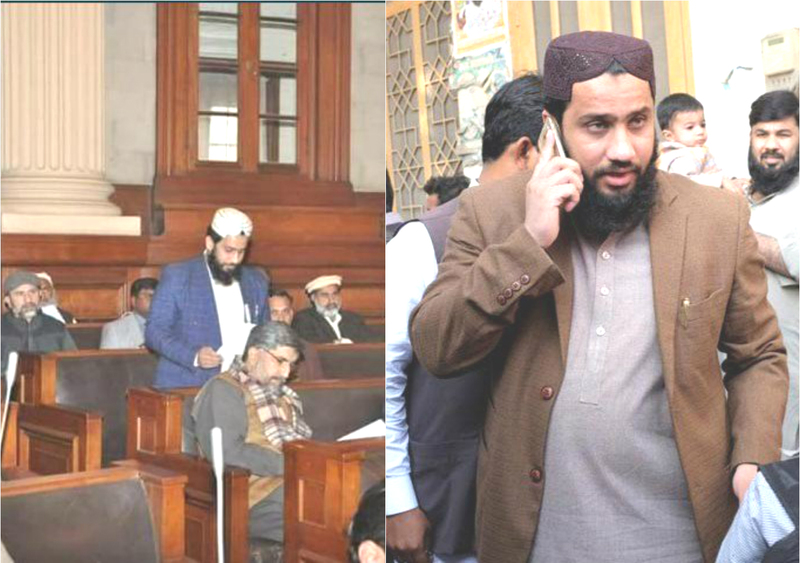 Maulana Masroor Nawaz Jhangvi—son of slain Maulana Haq Nawaz Jhangvi who founded the now proscribed Sipah-i-Sahaba Pakistan (SSP)—became the lawmaker of country’s largest provincial assembly officially, as he took the oath on the opening day of the 26th session of Punjab Assembly on Monday. 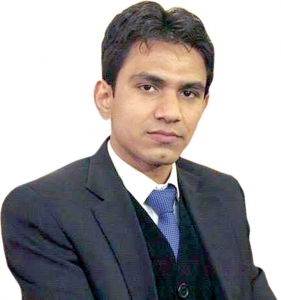 Jhangvi became the Member of Provincial Assembly (MPA) with an overwhelming margin of more than 12,000 votes from PP-78 (Jhang) in the by-election held on December 1 last year. Jhangvi’s victory in the by-election raised many questions keeping in view the implementation of National Action Plan (NAP) as Lashkar-e-Jhangvi (LeJ)—a militant outfit that has carried out several sectarian attacks—was named after his late father. Soon after taking an oath of his office on Monday Jhangvi delivered a speech on the floor of the house and said that he is ready to cooperate with the provincial government in order to maintain the law and order in Jhang—an area that has been engulfed with sectarian sentiments for more than two and a half decade. “I got elected just because of two issues: the development of Jhang and to ensure the law and order,” Jhangvi said, adding that these two points remained the central points of his entire election campaign. He was of the view that his district was facing numerous challenges, including health, education and unemployment, and he will strive hard for the uplift of his constituency. “The District Headquarters Hospital of Jhang lacks the basic health facilities, as most of the patients were referred to Faisalabad or Multan,” he said, adding that Jhang must be given the status of a division. Jhangvi also demanded that a bench of Lahore High Court (LHC) must be established in the Faisalabad division. It is pertinent to mention here that Auqaf and Religious Affairs Minister Syed Zaeem Hussain Qadri congratulated Jhangvi after visiting him on his seat. Moreover, talking to Pakistan Today, Jhangvi said that his single point agenda is the development of Jhang. “The people of Jhang do not have a medical college or engineering university, and most of the students cannot continue their education because of a lack of educational facilities in the district,” he said. Soon after winning the by-election, Jhangvi had joined Jamiat Ulema-e-Islam-Fazal (JUI-F) as he met with JUI-F Chief Maulana Fazl-ur-Rehman in Lahore, along with the chief of proscribed Ahle Sunnat Wal Jamaat (ASWJ). It is highly likely that Jhangvi will become the parliamentary leader of JUI-F in the Punjab Assembly soon, as he will be the only member of the party in the house. Jhangvi got elected as MPA by securing 48,562 votes, while his close rival Nasir Ansari of ruling Pakistan Muslim League-Nawaz (PML-N) managed 35,469 votes. The candidates of Pakistan People’s Party (PPP) and Pakistan Tehreek-e-Insaf (PTI) were routed in the contest, as PPP’s Sarfaraz Rabbani got 3,671 and PTI’s Arfa Majeed could only get 2,821 votes. Jhang is one of the most volatile districts in the country where sectarian rivalry is at its peak for decades, and both father and brother of Masroor Jhangvi were killed in attacks in 1990’s and 2000’s respectively.